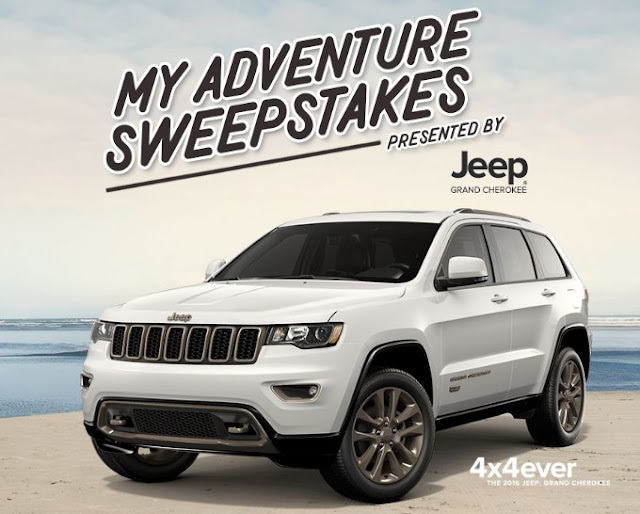 Jeep Grand Cherokee is presenting you with the chance to plan your ultimate summer getaway and enter to win $20,000 CASH to make those dreams a reality! Grand Prize: The Grand Prize Winner will win the following (the "Grand Prize"): $20,000 cash (presented in the form of a check). Approximate retail value ("ARV") of the Grand Prize: $20,000. Weekly Prizes: Each Weekly Prize Winner will win the following (the "Weekly Prize"): $500 cash (presented in the form of a check). HINT: You can get THREE entries a day. See the rules for details. This Sweepstakes ends on 09/07/16 and you can ENTER DAILY to win.